The books started out with a bang; right in the middle of the conflict. I must admit that I am skeptical of time travel stories because they generally cause unexplained paradoxes, but I wanted to see this writers take on it. The book relies on magic but does not explain how a mortal king can lock away a wizard who has some interesting powers. The book spends too much time on the King and his sexual prowess; it’s far to gratuitous. While the book does wander from one POV to another I held in to see how it would be explained. There are also two young people who seem to be outside the timeline as if peering in on the world below. 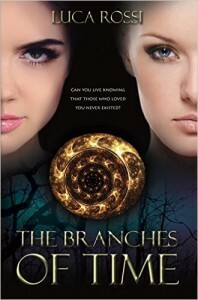 The book ends abruptly with only that it will be continued in book two. A disservice to the reader. This story would have been better portrayed in a monthly magazine on a continuing basis. I gave it 3 stars because the book is not that badly written but because it ends with no resolution and unanswered questions, I could not give it a higher rating. When I heard two weeks ago that this book was going to be released on July 20, I knew I had to have it for my collection of reprint books. I started reading books in 1952 at the age of four. Ahead of my time, maybe? 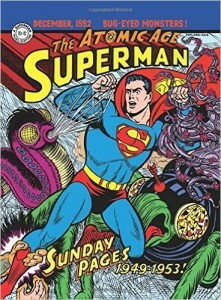 I don’t know where I acquired that first Superman book but it sparked an interest in me to read more and more.